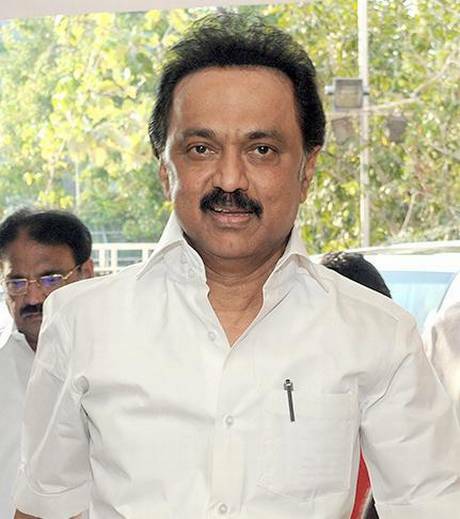 As his proposal for making AICC president Rahul Gandhi as the Opposition s Prime Ministerial candidate has triggered a debate, DMK president M.K. Stalin on Monday said the young leader s hands should be strengthened to release the country from the clutches of communalism and to uphold democracy. I proposed his name as a way to coordinate and strengthen the democratic forces to defeat fascism, he said in a letter to DMK cadre (Udanpirapukku Kaditham). Mr. Stalin said friendly parties that were keen on defeating the communal forces would understand his intention. In the present circumstances, my proposal would have created a debate among the friendly parties. In democracy, debates alone will pave way for a proper outcome, he said, adding the current debate would bring India out of the darkness of the Narendra Modi regime. Let us strengthen Rahul Gandhi s hands; let us join our friendly hands, he reiterated. To drive home the point that his proposal would have an impact, Mr. Stalin recalled his father and DMK leader M. Karunanidhi s call in support of Sonia Gandhi, Welcome Indira Gandhi s daughter-in-law; victory for India s noble daughter. Many national parties rallied behind her only after the call and the UPA won the 2004 Lok Sabha polls, he said.